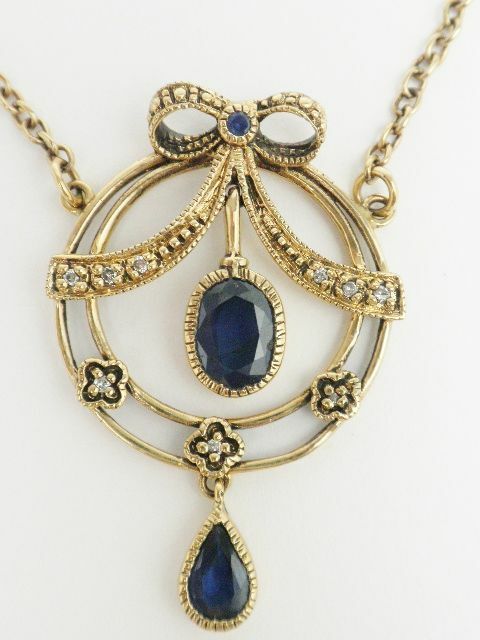 English sapphire and diamond pendant necklace. 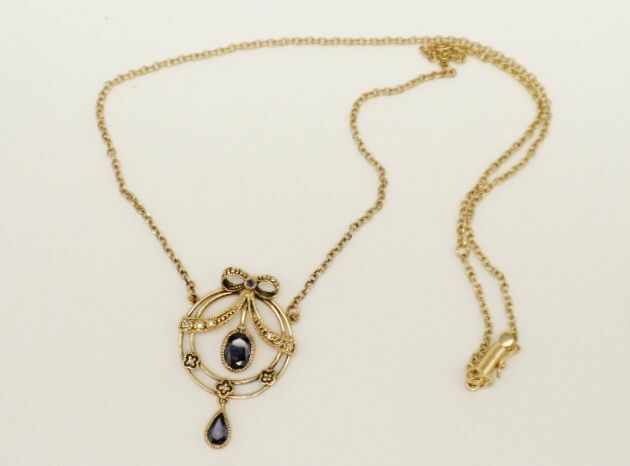 The necklace weighs 6.3 grams 10K gold and is 18" long and has a barrel safety catch with side snap for added safety. 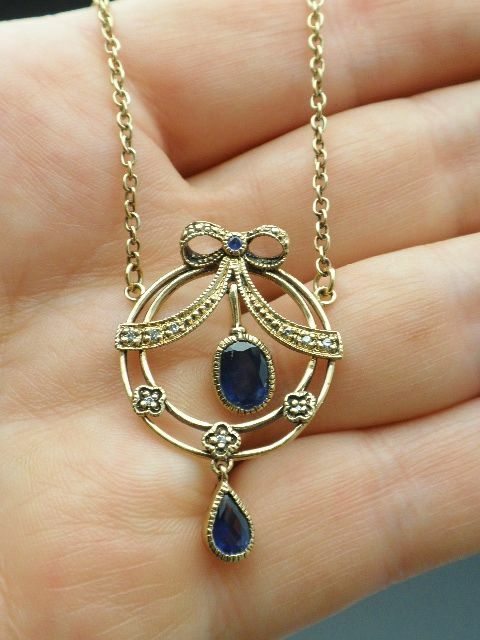 The pendant is set with three genuine true blue sapphires and 9 pointer genuine diamonds. 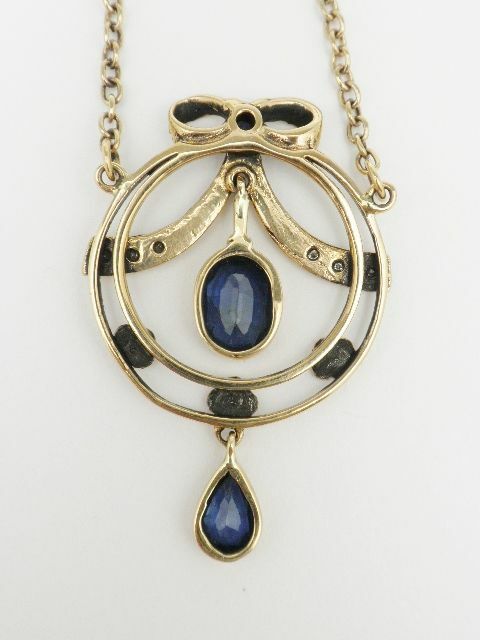 Although having the appearance of an antique this piece is vintage handcrafted by skilled British artisans. 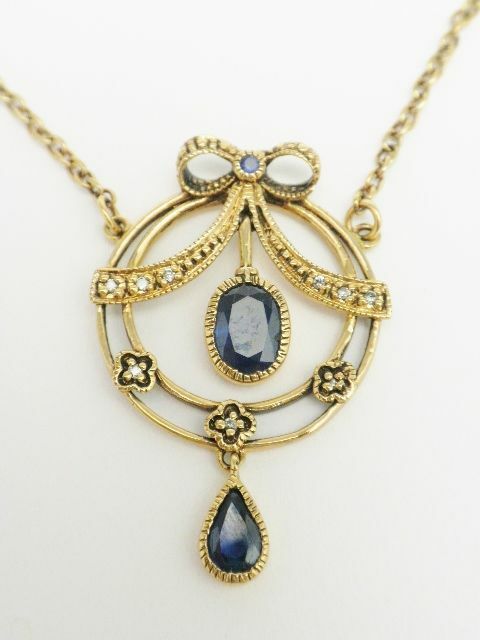 All the stones are genuine and matched for color.